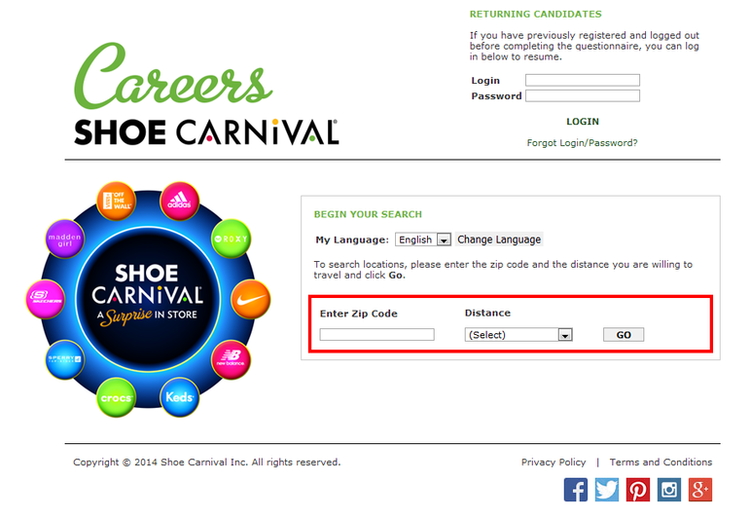 Shoe Carnival prefers you type your zip code and select a distance you are willing to work in. Choose a branch to start your work within your reach. The site has considerately show how many miles between your location and the branch. Select a position you wish to consider. 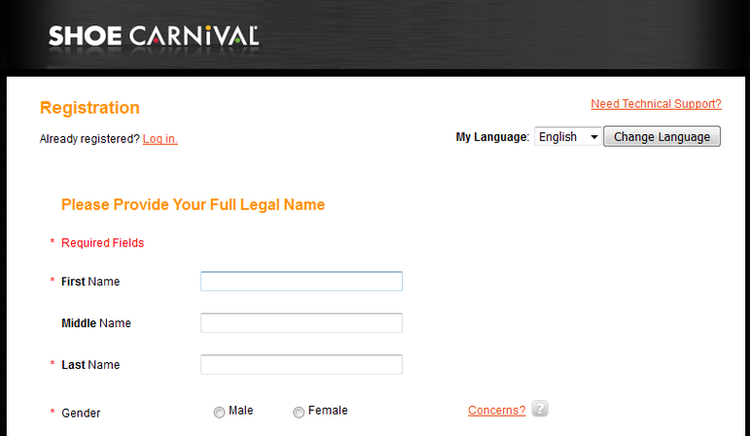 If you are willing to apply this position, click PROCEED TO REGISTRATION to move on. Click RETURNING CANDIDATES if you want to check around other positions. 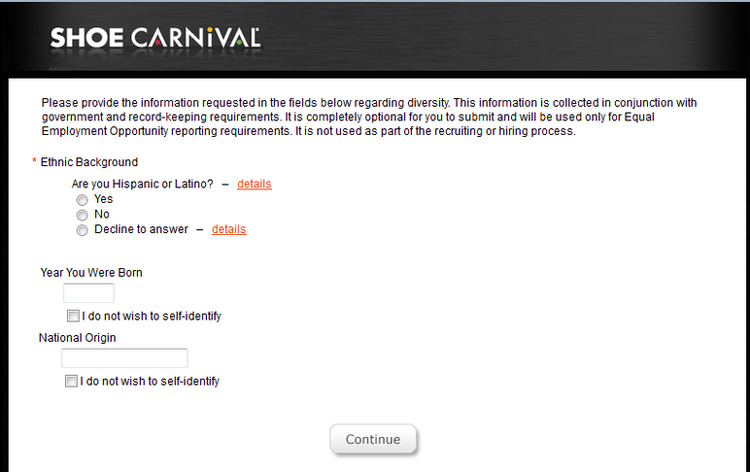 Following are three pages of diversity questions, they come down to your background, race, born year etc. If you do not wish to present, check “I do not wish to self-identify”. 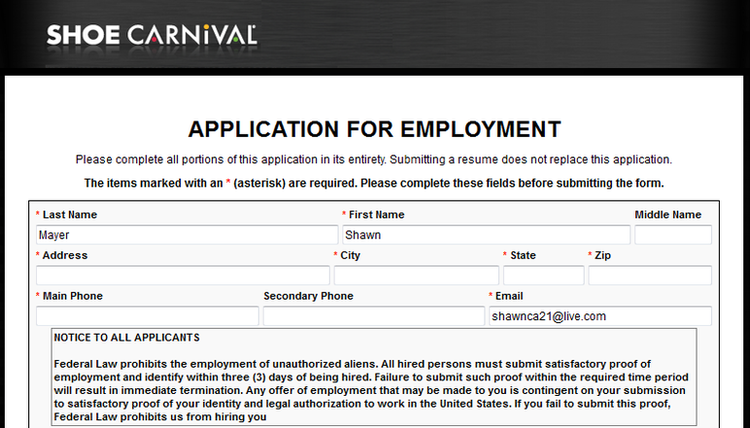 Here is Application For Employment, fill all the required information to move on other steps. We sincerely hope you can successfully apply for a satisfied position under our help. 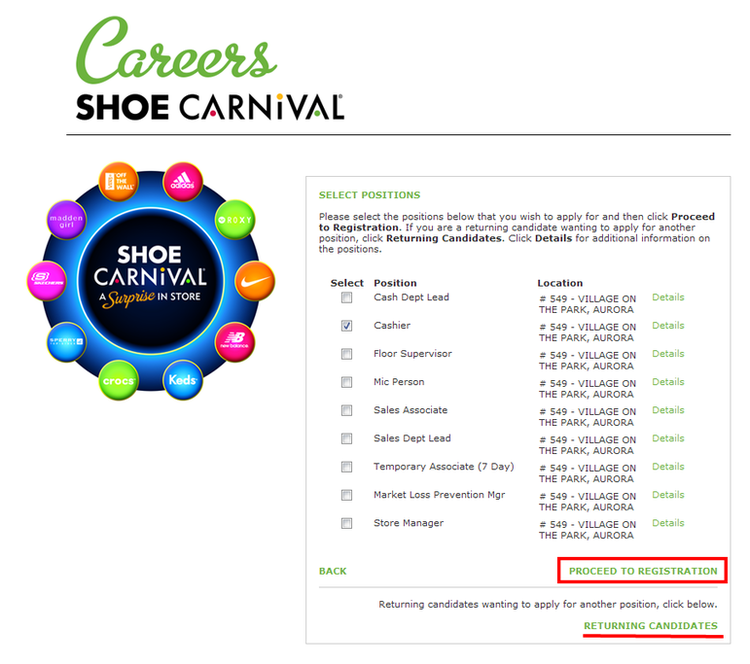 Click shoecarnival.com/careers to apply for Shoe Carnival jobs online.